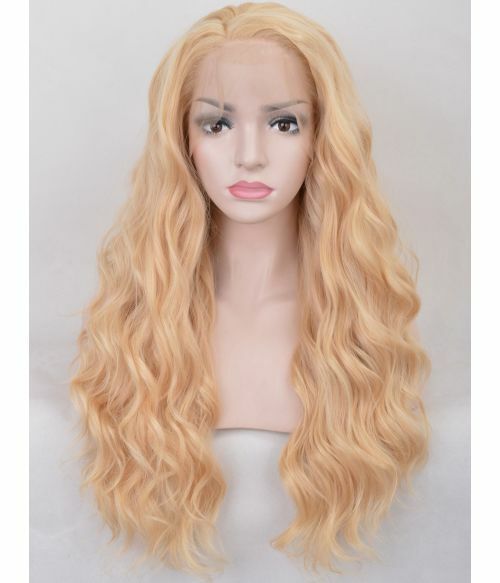 Angelic light blonde lace front wig with gorgeous peach undertones. A blissful palette creating a buttery blonde colour with a hint of frosted peach under lighting. Enchanting long, layered wavy hair lengths fall naturally and add volume around the face. The hand tied front has been carefully contoured and combined with soft, flexible lace, ensures the most realistic of hairlines. A part line can be added in any direction to transform the look in minutes.